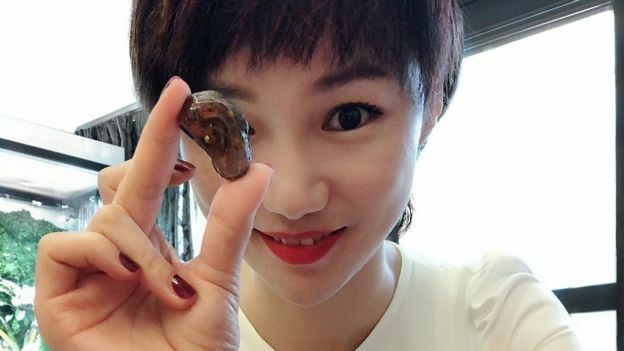 The fossil of a baby snake has been discovered entombed inside amber. The creature has been frozen in time for 99 million years. The snake lived in what is now Myanmar, during the age of the dinosaurs. Scientists say the snake fossil is "unbelievably rare". 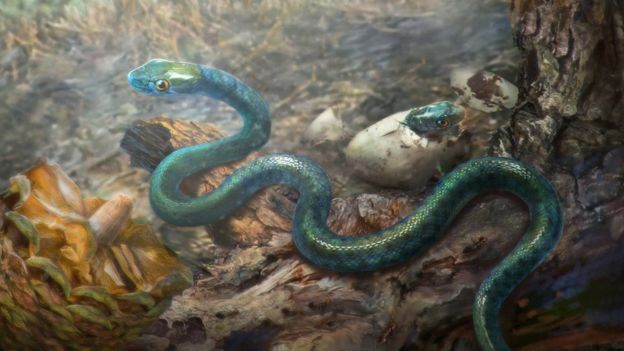 "This is the very first baby snake fossil that we have ever found," Prof Michael Caldwell of the University of Alberta in Canada told BBC News. The baby snake lived in the forests of Myanmar during the Cretaceous period. It has been given the name, Xiaophis Myanmarensis, or dawn snake of Myanmar. 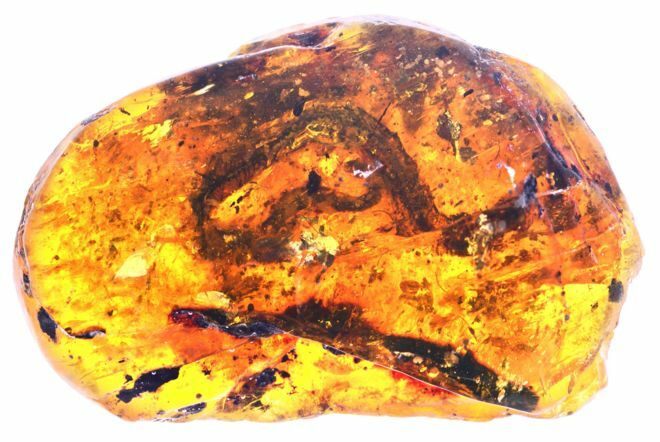 A second amber fossil was discovered, which appears to contain part of the shed skin of another much larger snake. It is unclear whether this is a member of the same species. The animal became stuck in tree sap, a sticky substance that can preserve skin, scales, fur, feathers or even whole creatures. 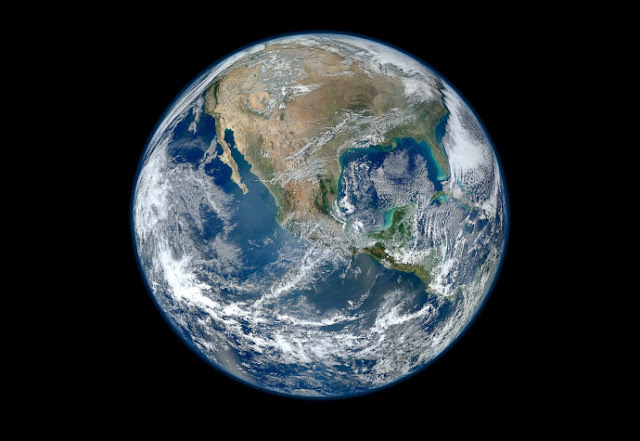 "It's the super-glue of the fossil record," said Prof Caldwell. "Amber is totally unique - whatever it touches is frozen in time inside of the plastic-like resin." The creature's bones were analyzed inside a synchrotron, an extremely powerful source of X-rays, and compared with those of living snakes. Anatomical features suggest development of the backbone of snakes appears to have changed little in nearly 100 million years. Scientists say the snake may have survived for tens of millions of years in a primitive state, before going extinct. Fragments of plants and insects found inside the amber confirm that the snake lived in forests. 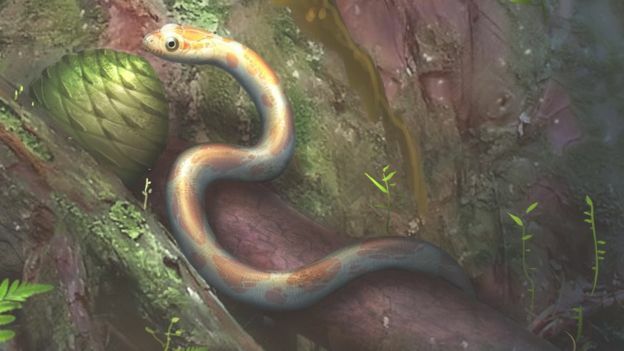 This has not been shown before for this time period, as the few other fossil snakes discovered come from rocks associated with rivers or the sea. 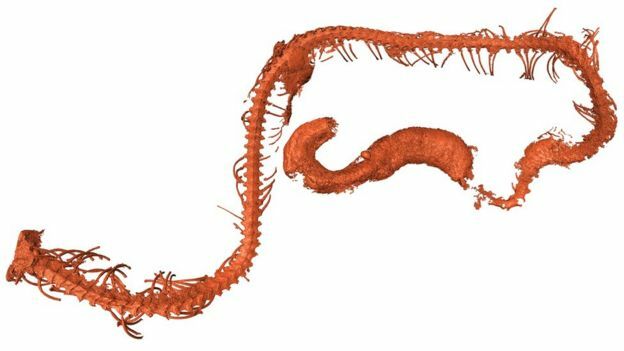 Dr. Ricardo Pérez-de la Fuente of the Oxford University Museum of Natural History, who is not connected with the research team, said the find gives "invaluable developmental and evolutionary data on ancient snakes". Myanmar is seen as a treasure trove of exciting fossil discoveries from the Cretaceous period, between 145 and 66 million years ago.